Ahead of England’s second game of the 2006 World Cup, Nike featured this poster on one of the most viewed billboards in the UK, the M4 motorway between London and Heathrow airport. The idea behind the poster was influenced by Rooney’s goal celebration – arms out wide in celebration. Although the campaign caused a bit of a stir at the time, there is no doubt it was a marketing success. Vapor for sure, its much lighter and you still get a great touch to the ball. I have F-50+ which are really good to kick in but they get wrecked easy. I got mine for a bargain (£50) and they are the proper ones if you know what I mean. But now I need new football boots and funny enough I have trouble deciding between either Vapors or Total 90’s. I went to the the shops and have tried both on and have had a good feel and I am thinking of having the Total 90’s cause they are stylish and comfortable, but on the other hand the Vapors are lighter but I would get the Zoom Airs. i recommend you to get air legend, i collect soccer cleats, i have like 30 of them, from george’s weah diadora, ronaldinho air legend and r10, r9 vapors, from 1 2 and 3, talaria, f 50+, F+10, predator accelerator, nike supremacy, rivaldo’s mizuno,kelme,so far air legend are still the best. If you want speed, get vapors, but vapors kinda hurt when u hit the ball, not that much protection on vapors, f50 is a good cleats for a playmaker, but air legend, it got the touch, the speed, the look, the comfort, the grip. i am a striker and i average 2-3 goals a game, my advice is if your fast get the nike vapours, but if your more of a power kick i’d reccomend the adidas predators, i am more of a speedy player, but i bought the predators and i’m extremely comfortable with them. but it’s really up to you…..
it depends what player you are, ive had both pair of boots, im a striker and i prefer the nike legends this is because they are made out of lether and you can get a real feel for the ball, vapours are very light and they dont offer you much protection meaning tht you pick up injuries regularly. Depends on your strengths. 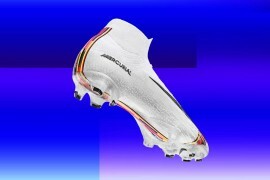 If you are a fast player I strongly recommend the Vapours but the Air Legend has a better touch. I went for the Vapour and the only regret I had was that they were fake and that they broke, but I still played better in them so I would get Vapours if I were you. Vapours are good if you are a striker. but not if you’re a defender, which i am. I play left back and my feet got killed in the first game when I played Porstmouth, but I still think they are better than Nike Legend as they are very off your foot if you know what I mean. Like they are on your heel but they rest off of your foot , and also arent good for kicking. As i can hit it the hole length of a full size pitch which is important for me, so i would go for something else completely, like the Adidas Predators or other Addias football boots. I wear Nike Mercurial Summit or uvas, like the ones Cristiano Ronaldo wears, feels like I’m wearing slippers, very good for being sharp off the mark and sprinting, sometimes hard to get loft on the ball in them though, i’d say 8 or 9/10. Do any of you’s know Thierry Henry if you do can you get him to send an email to me. I was a midfielder then and I did not want to be a keeper I only wanted to do it in training but I did it and my coach said I am a good keeper and STRIKER! I love Man U, Rooney, Ronaldo and Rio. The three R’s Kayleigh? Well done! Vapors for sure. Much lighter better for offense but you could also get the ADIDAS PREDATORs they are very good too. I am actually deciding between the two myself. boots dont matter that much really, it just gives u confidence like vapours make u faster. Well I’ve never owned a pair of F50‘s, but my friends say they are decent enough boots if you are willing to take the little bit of extra time to keep them in good shape. On the other hand I have worn the two major footballing boots that are out today: The Adidas Predators and the Nike Vapors. Lets start with the Vapors. Yes, they are extremely light and are nice to have on your feet when its getting to the final minutes of a match. I really don’t think they necessarily make you faster, it’s more of just a mind set placed there by Nike‘s advertisements of making you faster. Speed is more on who’s wearing the boot, but if wearing them makes you think you are faster, then go for it. Vapors have good touch, though not quite as nice as the touch of kangaroo leather, but again, I strongly feel that its the player, not the shoes. 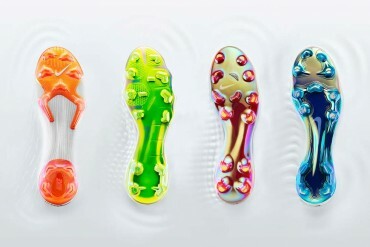 The downsides to vapors are that they do cause blisters when you first buy them, but that is not a huge deal. The bigger dislike that I had for them, was that being that they are extremely thin, they do not offer much protection to your feet. So occasionally you might take a very hard knock to your feet, which could end in a broken foot. The Adidas Predator offers more protection to your feet, because it is slightly heavier and is made of kangaroo leather. As advertised, the predator has an insole called the powerpulse, that is supposed to add more power to your shot. Again, it is my opinion that this is more of an advertisement than it is true, however it may be true. Personally, I just remove the Powerpulse insert and insert the backup lighter insoles that come with the shoe, which drops the shoe from about 12 ounces to 10.6 ounces. The difference between the Vapors weight and the predators weight is now very minimal, and the predator still offers more protection. The predator has nice feel and touch, thanks to the kangaroo leather, but you have to make sure that you use leather food on them so that they stay in nice match shape. AGAIN, everything is more on the player not the boot, but the boots do make some things easier and more comfortable. 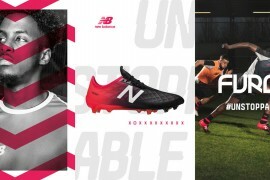 However, each player is different and relies on a different playing style, so you should just try different boots if you are able to and see which one(s) fit your playing style. First off, as soon as I saw this I knew exactly what they were going for…Rooney plays for England’s national team, and he is English himself. These advertisements are going up in England and it makes perfect sense. He is not emulating the crucifix, and that is not blood on him. as i read many comments is see that many of u guys play for the youth clubs such as arsenal and chelsea. u guys are so lucky i wish i would live in the uk or europe so that i could play with a good team. all the teams in the us for the youth are bad. and have ne of u guys seen or met some real pros which play in the epl. also thanks for the help about the f50 boots imma keep em now and i wont change em. That picture is not the entire picture. I saw the whole thing and you can see it if you look it up on google images but in his left hand he is holding C. Ronaldo’s head by the hair and it is severed as if Rooney beheaded Ronaldo and smeared the blood from his neck on himself. This is obviously because of Rooney’s sending off in the World Cup but Rooney and Ronaldo are still the best of mates so yea. 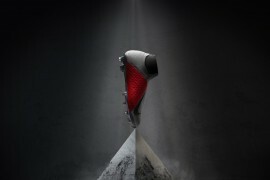 it’good, Ilike a nike football boots but not possible buy nepal.